This weekend we made major progress on the quilt for Pattern #6; can’t give you many details yet, but we think you are going to like it! 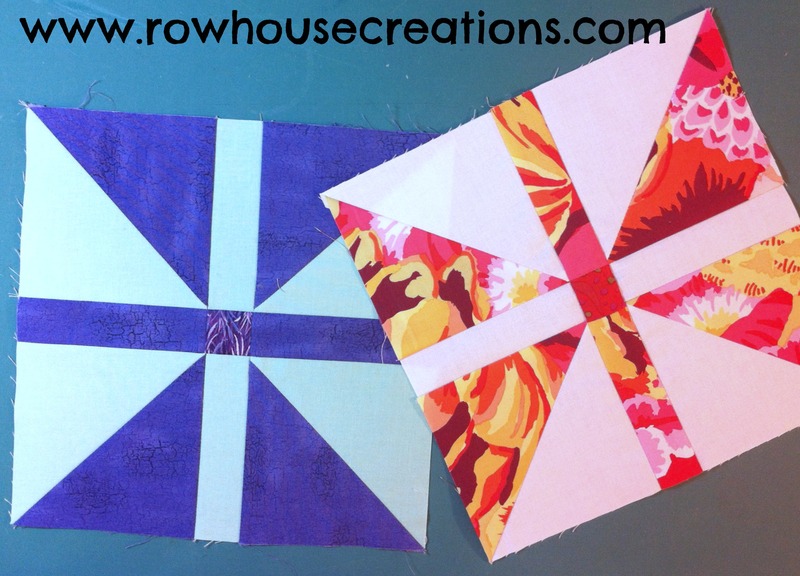 TIP: Square-up/trim your HSTs to 4 1/2″ square before moving onto step #3. 3. Lay out 4 HSTs, 2 background rectangles, 2 accent rectangles and 1 accent square as shown in block diagram. Join into rows, join rows to make one block.